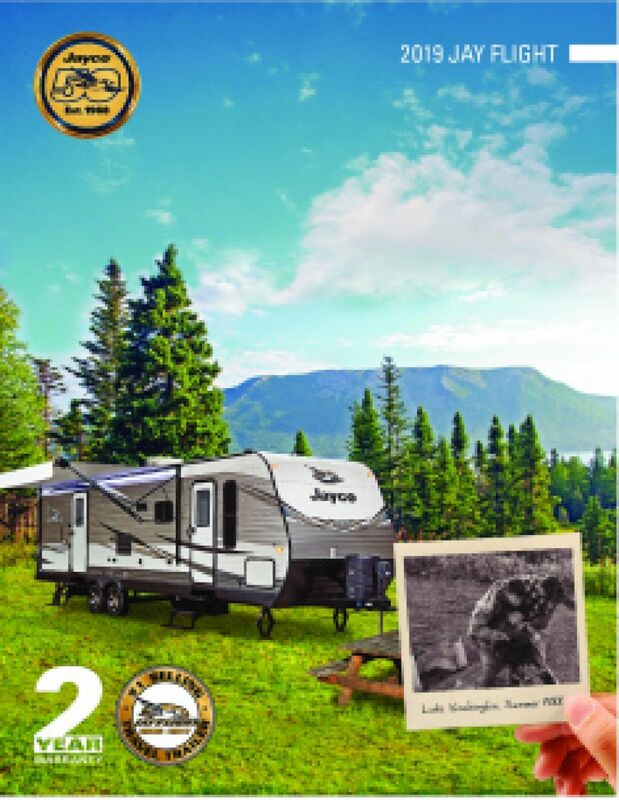 Take a fantastic cross-country trek in the New 2018 Jayco Jay Flight SLX 324BDS! Your family will love long vacation trips in this beautiful Travel Trailer! Our huge inventory of all the top brands, our super low prices, and our fantastic customer service make us one of the top RV dealers in Michigan - and the country! So come down to 4325 W Vienna Rd Clio Michigan 48420 to find your next RV, or call us at 810-686-0710 and talk to one of our friendly, knowledgeable RV experts today! You'll be in your dream RV at a dream price before you know it! Even if you don't live in the Clio area, we have 24/7 fast, reliable store-to-door delivery anywhere in the country! Call us today! You'll save $1000s and be on the road to RV excitement in no time! This stunning Travel Trailer has a hitch weight of 855 lbs. The 18' 0" patio awning provides shade and UV protection while relaxing outdoors! With its sturdy GVWR of 9000 lbs, you'll have years of family fun on the road! When the sun goes down and everyone's ready to hit the hay for a night of sweet dreams, they'll do it in cozy comfort! 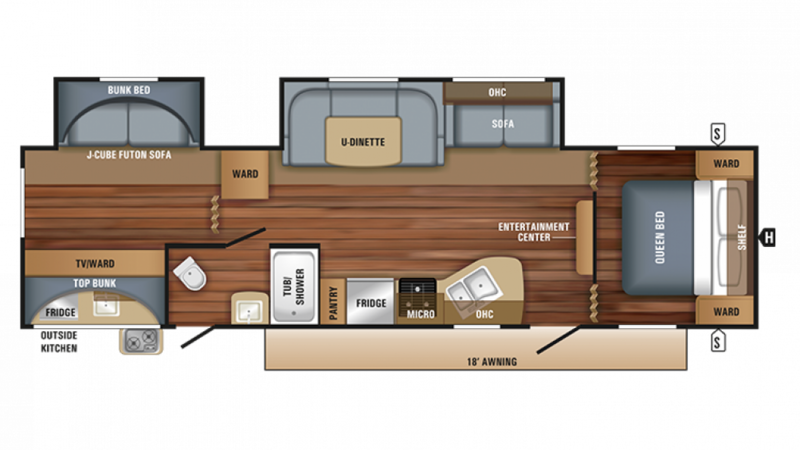 This RV has great sleeping accommodations for up to 10 people, and you'll love the roomy Queen bed in the handsome master bedroom! When it's time for a delicious hot family meal, you'll whip it up in no time, thanks to the 3 burner cooktop and other modern cooking appliances in the kitchen! You'll have plenty of fresh food to choose from, all stored in the roomy 6.00 cu. ft. refrigerator! Don't worry about the clean up, either. The 40 gallon fresh water tank and the LP tank capacity of 60 lbs. provide plenty of hot water for washing and rinsing the dishes afterward! After a full day of outdoor fun, it's nice to step into a refreshing shower and wash off the dust and grime. You'll do that anytime, thanks to the complete bathroom in this Travel Trailer! You'll save the trip to the community bathroom with the handy Foot Flush toilet. The generous 60 lbs. of LP tank capacity means there'll be hot showers for everybody, while the 32 gallon gray water tank and the 39 gallon black water tank store used and dirty water discreetly! Enjoy summer picnics on the campsite with the outdoor kitchen.